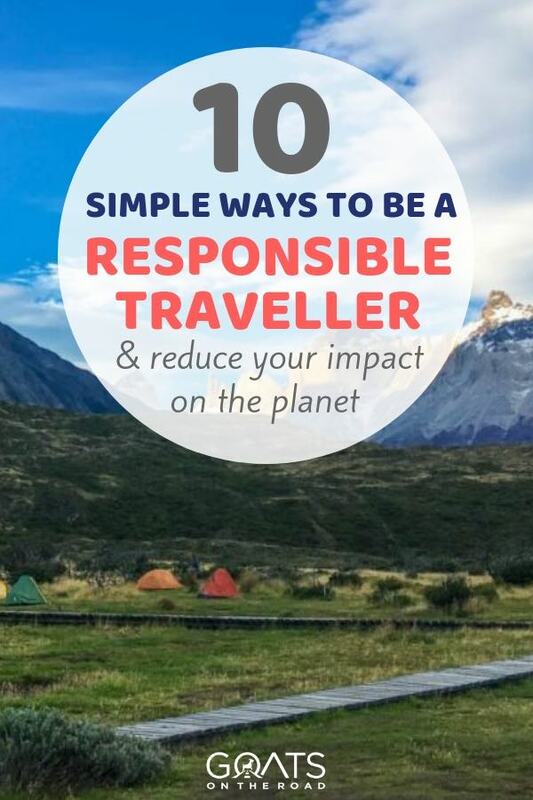 With travel becoming more mainstream, and overtourism on the rise, it’s important to think about how you can be a responsible traveller and reduce your negative impact on the planet. But, what does this mean exactly? What can you do? 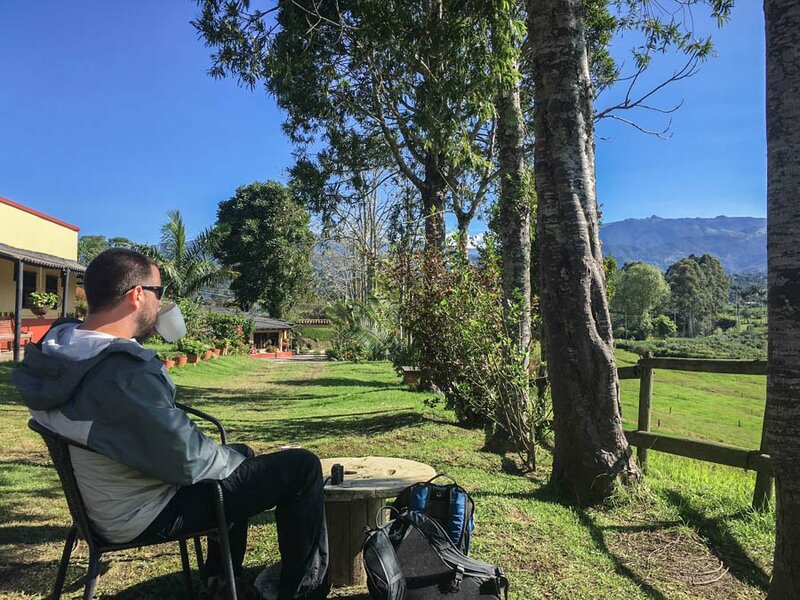 Being a responsible traveller is something I’ve been conscious about for years, but recently it’s come to the forefront of our conversations with travellers and locals. We’ve been on the road now since 2008, visiting over 65 countries all across the globe – Central Asia, Africa, the Middle East, South America, Southeast Asia, Europe and beyond. 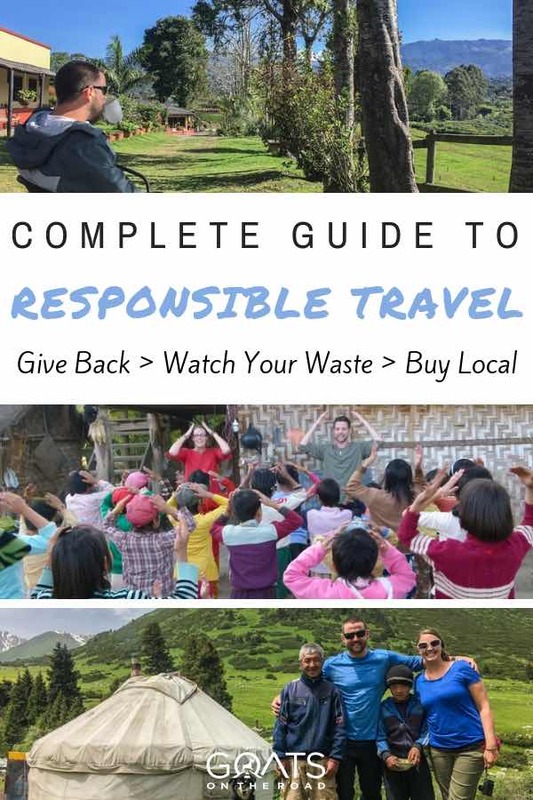 Rather than just breezing through countries that we’ve visited, while snapping photos along the way, we’ve tried to make a conscious effort to be responsible travellers and help give back to change the lives of those around us as much as possible. It’s not always easy to be a responsible traveller and you don’t have to devote your every waking moment to it, but it does pay to keep a few things in mind. Which countries you decide to travel to, which accommodations you choose, where you decide to eat, how you opt to get around, and the activities you partake in (or not) will have an impact on the destinations you visit. This has to be the easiest way to be a responsible traveller. When you’re abroad, consider where you want to spend your money when it comes to meals, snacks, souvenirs, clothing, etc. One of the best ways to make a positive impact on the lives of the residents in the country you’re visiting is to purchase products that are locally grown / made. If you have the option, rather than going into 7-11 in Thailand to purchase snacks and beer, hit up the little stand on the side of the road which is run by a Thai person. Instead of going to Wal-Mart or other conglomerates in places like Mexico, Argentina and China, opt for the local markets and shops for seafood, meat and veggies. More often than not, the produce and proteins will be fresher anyways. When it comes to eating meals out, check out the streetside vendors! Most likely, it’ll be the most authentic, tasty food you’ll have on your travels. In many parts of the world you’ll find amazing woodwork, paintings and traditional clothing for sale. Avoid the airport and cruise ship port gift shops which typically have souvenirs that are made in China. Head to a local shop and get some unique handicrafts. When you’re wandering through the streets of Bolivia, buy an alpaca wool sweater from the elderly woman. Want to travel Kyrgyzstan? While you’re there, pick up handmade shyrdaks from one of the sustainable shops. One of the best things we’ve ever done while travelling abroad was to volunteer our time, and donate some money to reputable causes. To us, responsible tourism means giving back to the destinations that have given us so much. 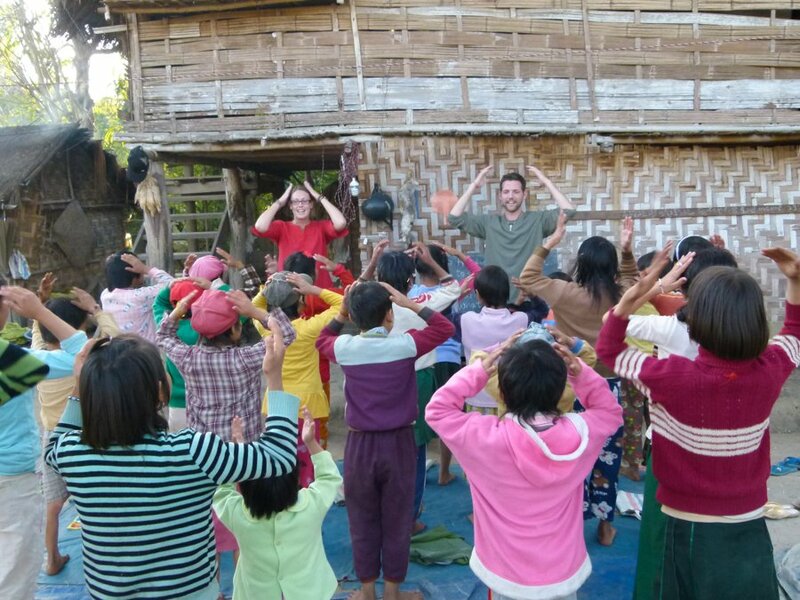 We’ve taught English to children in a village in Myanmar, and to kids in Laos (which ultimately ended with us finding our paid teaching jobs in China!). 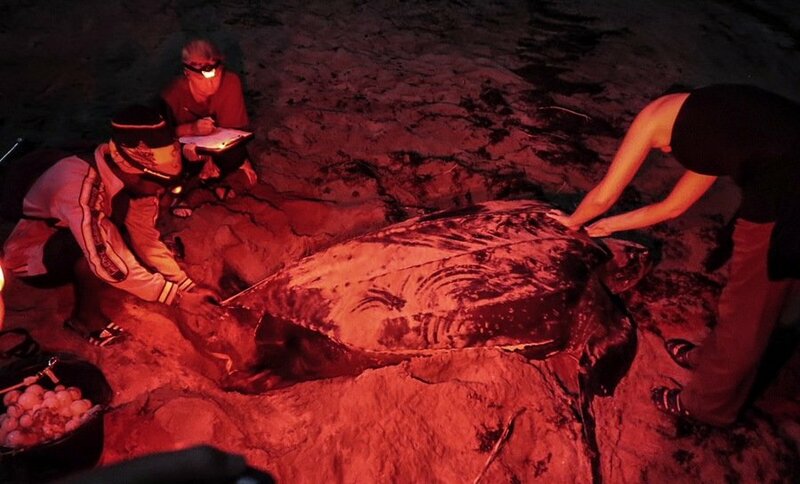 In Grenada, we’ve volunteered with the GSPCA, assisted with the conservation of Leatherback Turtles, sponsored an orphan child to attend a summer camp, and have donated money to various schools and programs on the island. The best way that you can give back is by offering up your services or your time. Are you able to teach kids how to swim, sail, surf? Can you help others learn a language? Are you a builder or engineer by trade? 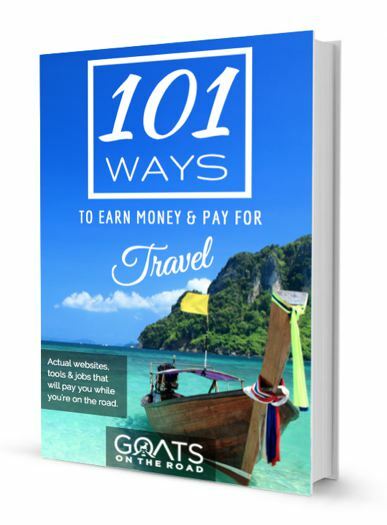 If you have a certain skill set or knowledge on a particular topic, maybe you can help out when travelling. Just be cautious that you’re not taking away jobs from locals. Another thing to note is that while volunteering may seem like a great concept, you need to do your research to ensure you’re actually helping rather than harming. Many charities will make you pay hefty fees to volunteer with them, with the money not actually going towards the communities and projects you’re supposed to be helping. In certain cases those funds might go towards supplies and other costs, but it’s important to make sure you know where your donations are going. Check out IndiGO Volunteers or Grassroots. 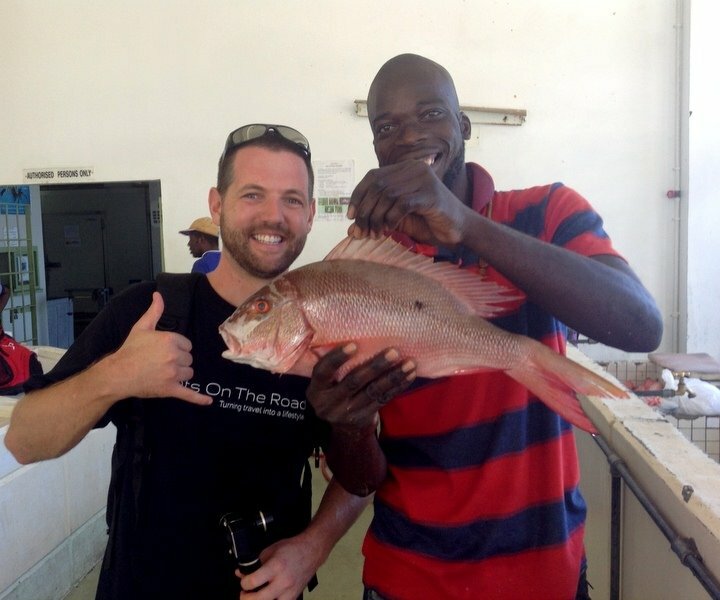 Our friend Johnny’s cause Giveback Giveaway combines volunteer work with travel. Another way to find opportunities is to search once you’re in country. You can ask around in expat groups, Facebook groups or do a Google search. Plastic waste has become an epidemic these days. According to Coastal Care “Every year, 8 million metric tons of plastic end up in our oceans, it’s equivalent to five grocery bags filled with plastic for every foot of coastline”. Not only does garbage on the beach (and in the water) look unappealing, but it’s incredibly harmful to the marine life and the environment. Nine out of ten seabirds have deadly plastic debris in their stomachs, table salts purchased from grocery stores in China were found to have plastic particles in them, and much of the seafood that we consume is filled with microplastics. Now, I realize it can be hard to eliminate all plastic from your life, and especially difficult while travelling. But fear not, there are some simple things you can do to manage your waste and ensure you’re doing your best to be a responsible traveller. Pack Reusable Bags: Throw a couple of reusable cloth bags in your luggage when heading off on a trip and bring them to the shops and markets. 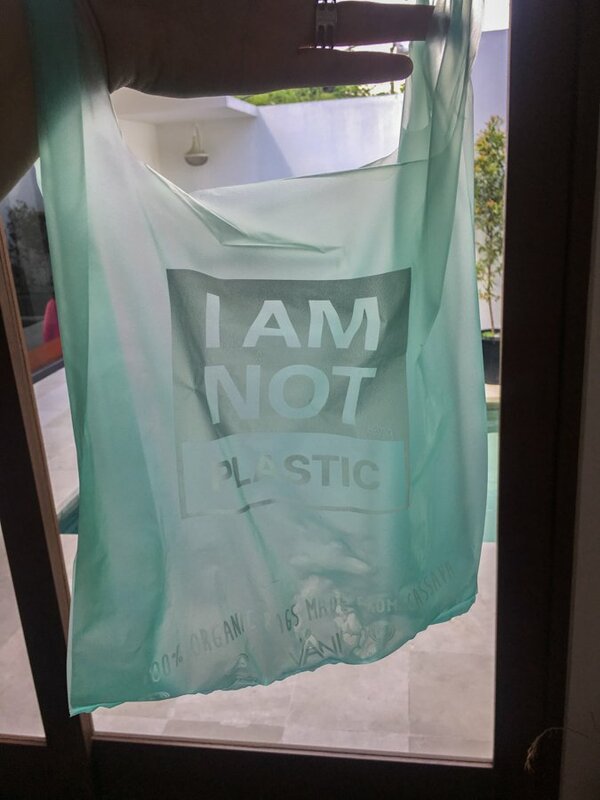 Refuse plastic bags when offered them at shops. Use a Water Filter: Rather than purchasing water when you travel, bring a water filter and a reusable bottle. Fill up at hotels and hostels with the purified water when you can, but otherwise, use your filter. Use Natural & Plastic Free Products: Lush is a beauty brand that sells natural shampoo, soap and conditioner – without any plastic packaging! It’s amazing stuff and it actually works. Rather than buying shampoo and conditioner bottles and soap wrapped in plastic, get yourself some products from Lush. No Straws: If you must have a straw (and let’s be honest, you need one when enjoying a coconut on the beach! ), there are many reusable ones available these days. Pack a couple with you and use them when need be. Reusable Containers and Cutlery: When going to a night market, or a “buffet” type of place where you typically get a styrofoam box to fill, bring your own reusable containers and have the vendor put your food in there. A great way to help out with waste around the world is to partake in beach clean-ups or other trash programs. A simple search on Facebook will reveal clean up programs that you can join. Watching your waste is one thing, but it’s also important to note that travellers shouldn’t leave any footprint in the natural places they visit. Leave no trace that you were there. Whether you’re exploring the back country, a rainforest or a city – the leave no trace mantra applies. Walk On The Path: Unless you are creating new trekking trails in a sustainable way, always stay on the well trodden path to avoid damaging any of the flora around you. Carry in and Out: Whatever waste you bring into the forest or natural environment, make sure you pack it out with you. This includes toilet paper. Bathroom Etiquette: If there isn’t an established toilet, make sure you do your “number 2” at least 200 feet from a water source. Dig a hole around 8 inches deep, deposit the matter, and bury it. Leave it Alone: Don’t bring shells back from the beach, plants from the forest and definitely don’t bring any artifacts with you. Respect Wildlife: No feeding the animals and keep your distance. Don’t Deface Property: Whether manmade or natural, do not carve your name or write anything – anywhere. Responsible travel can be a bit tough if you have to fly to the country you plan to visit. At the very least, if you travel on a direct flight you’ll reduce the carbon emissions (taking off and landing are the worst). If you fly with carry-on luggage, you will be bringing less weight onboard and thus, the plane will use less fuel. Not to mention, you won’t have to pay those hefty checked baggage fees. Once you arrive at your destination, taking a train, bus or metro line is a much greener way to get around than taking a taxi. Better yet, if you can, opt to walk or cycle. Another great way to be a responsible traveller when it comes to your carbon footprint is to travel around a region so that you are able to do overland travel. Rather than flying from Italy to Argentina, plan to travel around Europe instead – by train, bus, bike, etc. If you must take an Uber or taxi, try to share the ride with someone else. Of course, other ways to reduce your carbon footprint while travelling involve taking shorter showers and being mindful of depleting water reserves. For anyone who has seen the movie Cowspiracy or done any reading on the most damaging types of greenhouse gases, it becomes overwhelmingly evident that livestock plays one of the largest roles (even larger than the transport sector). It’s hard to say no to a bolognese in Italy or a pork dumpling in China, but if you can avoid eating meat a few times a week (particularly beef), that will have a much larger positive impact on the environment than taking shorter showers, booking direct flights or pretty much anything else you can try to do. This one is huge. 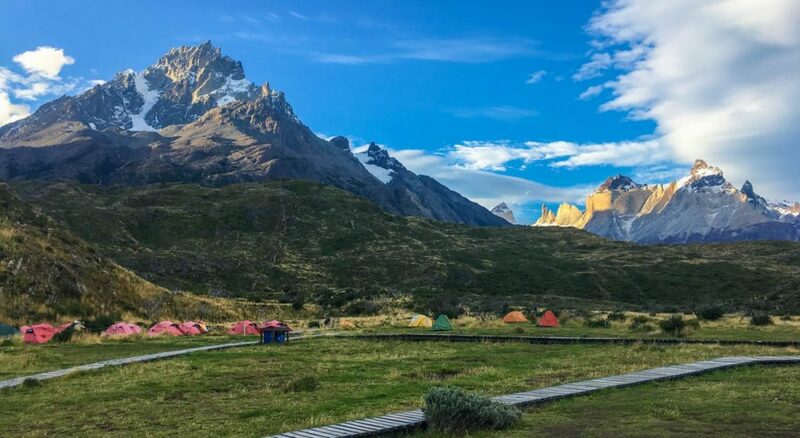 There’s being a responsible traveller in terms of eco-sustainability, but it’s also important to respect the culture and customs of the destinations you travel to. In many parts of the world, wearing shorts and t-shirts isn’t appropriate. 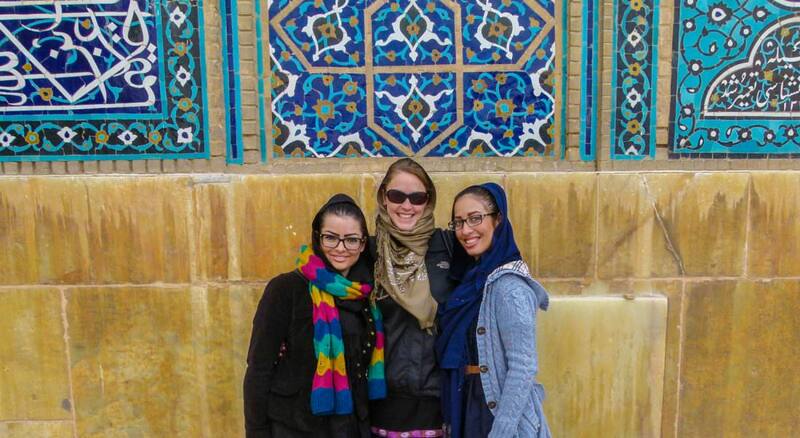 If you’re travelling to Iran, women must obey the dress code – including wearing a headscarf. In some countries, it’s customary for women to speak with women, and men with men. If you’re visiting temples and religious monuments, make sure you’re dressed accordingly. In Bali, this includes wearing a long skirt, in Thailand you must cover your knees and shoulders. When visiting mosques, both men and women should wear long pants and longer sleeved tops. Women should wear a headscarf. Other travellers’ attire doesn’t reflect what’s right and wrong, so always do your research and try not to use the excuse “everyone else is doing it”. When visiting churches in Rome and other places in the world, the general rule is skirts, shorts or pants that cover the knee, and tops that cover the shoulders. In Russia, many churches require women to wear long skirts and headscarves, while men must wear long pants and a nice shirt. Besides dressing appropriately in the countries you visit, knowing the customs (or at least some of them) will go a long way. Do you bring a gift if invited to dinner? When greeting someone, do you bow, clasp your palms together in prayer, kiss cheeks, or shake hands? What are the customs surrounding food – in China, you don’t leave your chopsticks vertical in a dish. In Mongolia, you must sample everything that is offered to you, or at least have it touch your lips. Another way to impress the locals is to learn a bit of their language. Maybe it’s just a few words, but they’ll be appreciative of your efforts. These days, there are endless choices when it comes to tour operators. It’s important to do your research and choose a company that respects the environment and works with the community to provide jobs to the locals. Better yet, opt for a locally owned and operated company. 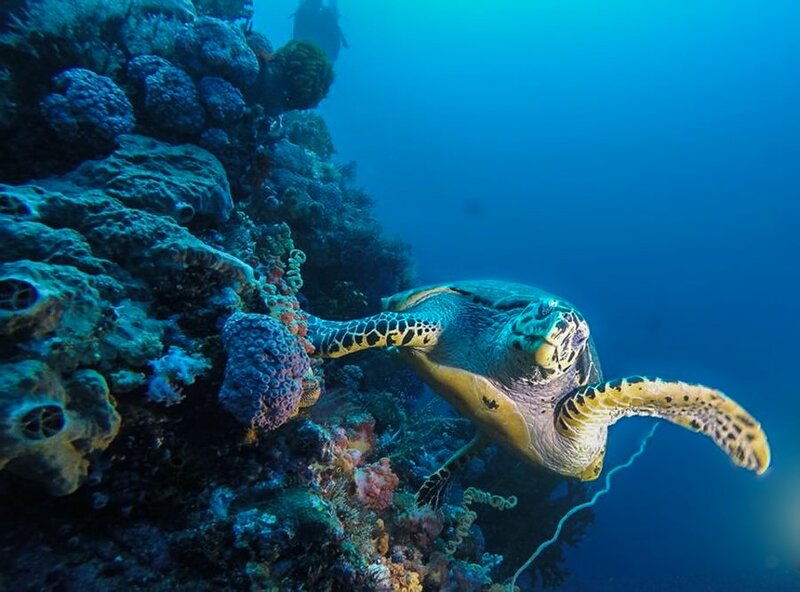 If you’re going scuba diving, ensure that the company doesn’t touch or feed the marine life. If you’re going on a wildlife tour (whale watching, snorkelling with whale sharks, a safari, etc. ), it’s imperative that you know your guide will be adhering to sustainable and responsible practices. This might include having small groups, keeping distance from the animals and if on safari, not veering from the marked path and not leaving any trash behind. Above all, don’t participate in any tours that promote cruelty towards animals – dolphin shows, riding elephants, zoos, etc. Look for places that have the stamp of approval from companies like Rainforest Alliance, Green Globe and Earth Check. If you’re travelling in the USA, check for approval from the US Green Building Council. Basically, these companies work with hotels to help them improve their social, economic and environmental practices. If they meet the standards and are considered a sustainable tourism option, they will receive certification. Opt for Local Guesthouses. Rather than staying in a massive 30 story resort, perhaps consider staying in a guesthouse or small hotel. This is an easy way to be a responsible traveller. Not only will the price be cheaper per night, but you’ll be supporting local families as opposed to foreign-owned accommodations. Your experience will be richer and more authentic as well. Choose Eco-Lodges. 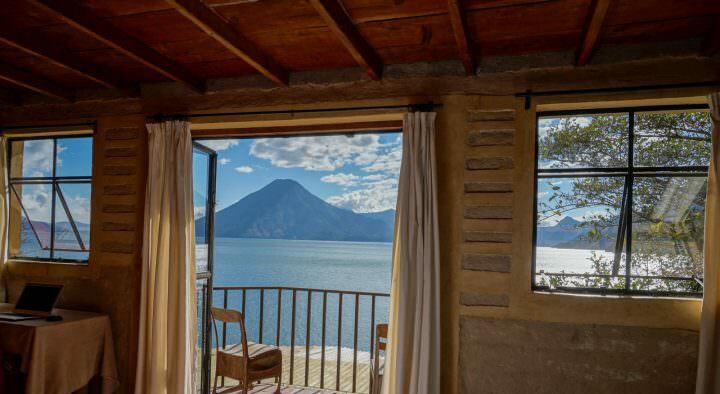 There are numerous eco-friendly lodges around the world. These places will typically be set in a natural area (jungle, rainforest, mountains, etc.) and are aware of minimizing their negative impact. There’s a focus on sustainability regarding natural resources (water, energy, food), and they have a positive relationship with the community they are a part of. Not only will you be helping out the environment, but these places are typically very remote and peaceful, giving you a very relaxing stay. Do Your Research – Ask questions or do some Google searches on the places you plan to stay. Find out if the staff are locals, and whether or not the food is locally sourced, or imported. Do they have recycling programs in place? Are the toiletries non-toxic? Have they banned single use plastics? Is a portion of their earnings given back to the community? 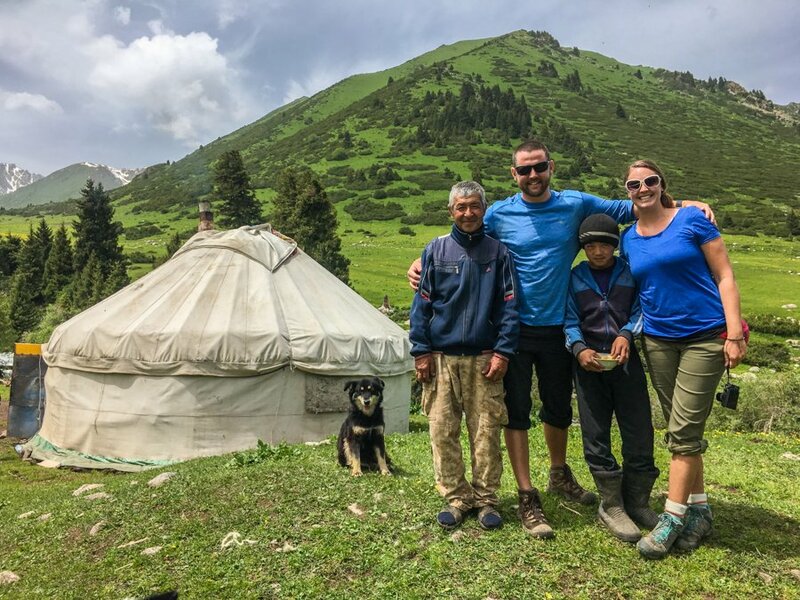 Opt for a yurt in Kyrgyzstan rather than a hotel. Go for the small guesthouse in Mexico rather than a massive all-inclusive. Local places have a lot of character! Some of our favourite accommodations have been the ones that are uniquely designed and locally owned. Another thing to keep in mind is that a lot of water is consumed in order to launder your sheets and towels. These do not need to be changed daily, and in fact, we don’t have ours changed unless we’re staying somewhere for more than a week. Hang your towels as a sign that they don’t need washing, or tell the receptionist and cleaning staff. Overtourism is a hot topic right now. There are actually places in the world that have so many tourists visiting that they’ve had to put a limit on the amount of people who can enter. In some cases, they’ve even had to shut down sites…and islands! Dubrovnik has limited entry to its walled city. Machu Picchu has put restrictions on when you can visit and for how long. Boracay Island (which offers one of the best Philippines beaches) and the Maya Island (Thailand) have closed to tourists. In April and May of 2018, Venice didn’t allow tourists in certain parts of the city. Barcelona and Budapest are protesting against the influx of visitors. Last year, Iceland saw 6 tourists for every local. Overtourism is just that – too many tourists. Streets are over crowded, local sites are packed, fragile natural sites are degraded, high rent prices push out locals and traffic is gridlocked. 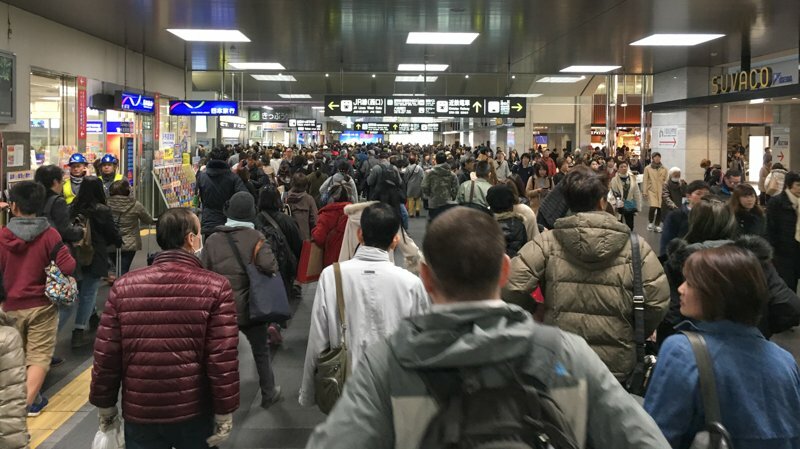 These are all signs of overtourism. By simply focusing on growth, without having the forethought about the impacts it will have, there are now numerous destinations that simply cannot keep up with the number of visitors. Not to mention, the local residents are starting to get fed up with their community becoming overrun with foreigner visitors. With travel being more affordable than ever, and with the internet offering information, inspiration and ideas for travel destinations, what can we do to help? 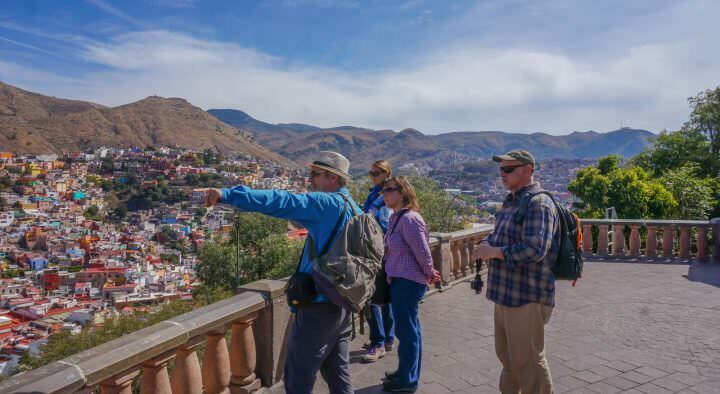 How can we combat overtourism? Don’t worry, there are many ways! The first (obvious) option is to visit lesser-known countries and cities. Simple as that. It will help to balance out the number of tourists across the more popular destinations. Instead of going to Barcelona, maybe head to Bratislava. Instead of Italy, what about Bulgaria? But, if you really want to visit a popular tourist destination – Italy, Croatia, Spain, Iceland – consider checking out the areas that aren’t so famous. These are all large countries that have a lot to offer. 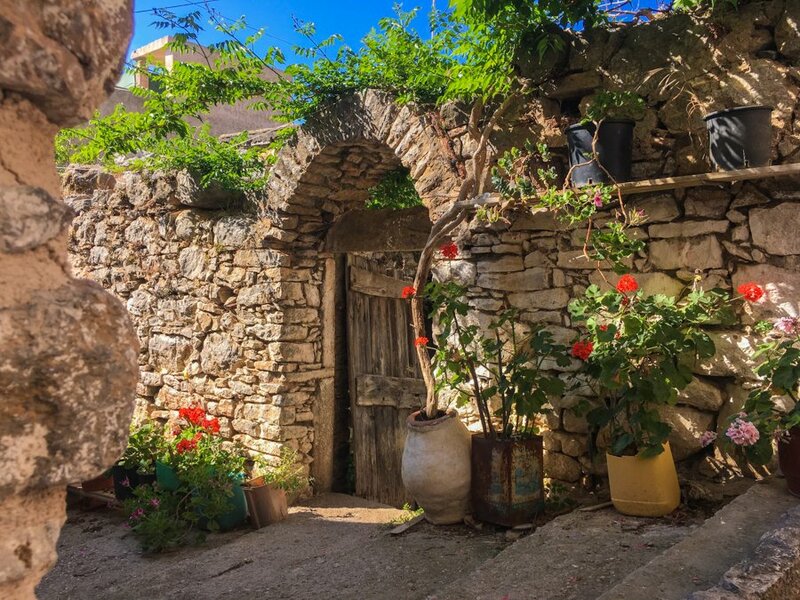 Rather than just visiting the incredibly busy cities of Barcelona, Venice, Dubrovnik, etc., head off track and explore the other villages and towns. 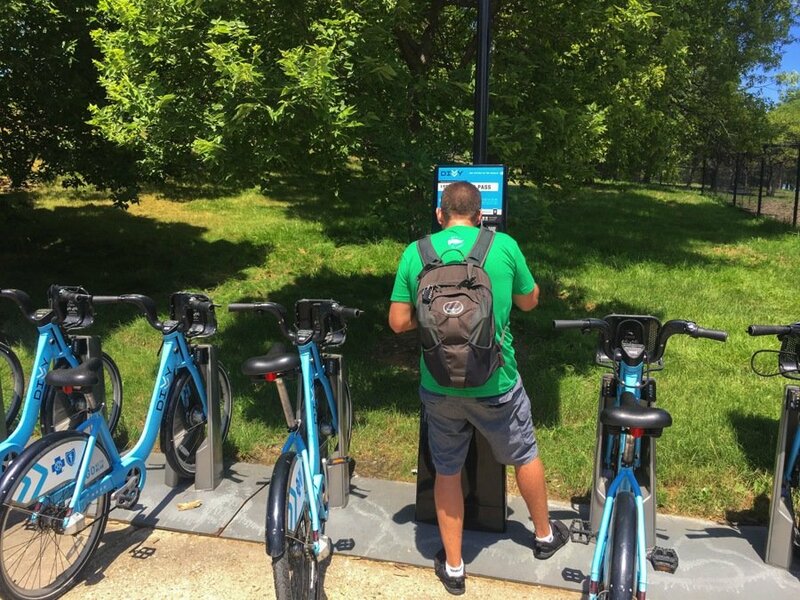 Not only will the locals be happy to see you, but you’ll have a more enjoyable experience by not having to deal with crowded streets and jaded residents. Also, consider visiting the popular spots outside of the peak season. There will be less tourists around, you’ll have a better chance of having a positive experience with the locals, public transport won’t be packed, and line ups for various sites will be much smaller. Of course, the overtourism issue really needs to be dealt with by the government and tourism authorities before it becomes a problem. Many of us start travelling as budget backpackers. Skipping meals, hitch-hiking and camping in order to save as much money as possible while on the road. This also means bargaining for items, whether its food and souvenirs at a market, or local transport. Unlike where I’m from in Canada where items have a set price tag, in Asia, Latin America, Africa and the Middle East, bargaining for goods is part of daily life. As a tourist, you can be a responsible traveller by not over bargaining. That 50 cents or dollar that you’re trying to save will really go a long way for the person who you are purchasing from. Sometimes tourist pricing can seem unfair, but in reality, if you’re only being charged a buck or two more than a local would be, just pay the money and leave the exchange with both parties having a smile on their face. As you can see, there are many simple ways in which you can help out the environment and the local residents of the places you visit. I have to end this article by saying that none of us are perfect. You probably won’t be able to eliminate plastic completely from your life. Maybe you’re only given holidays during the peak season, or perhaps you really want to see what it’s like taking an all-inclusive luxury resort holiday. As long as you’re doing your best to be a responsible traveller, and implementing some of the things I listed above, then that’s great. 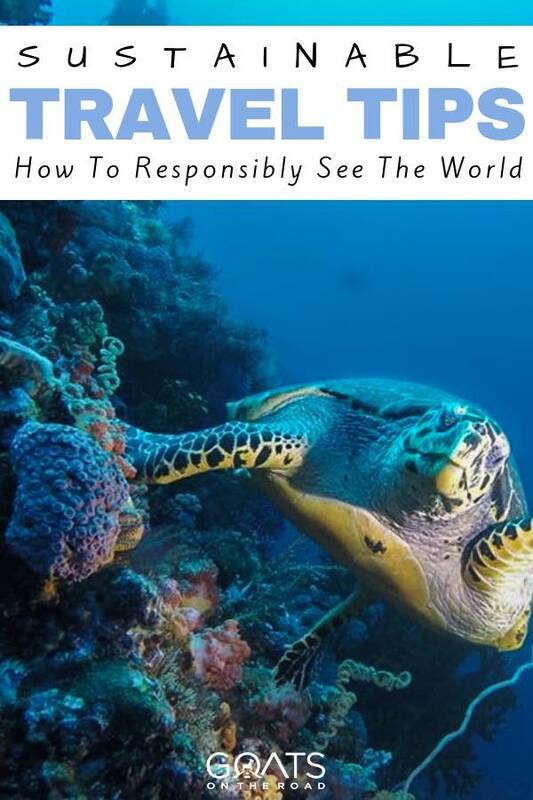 It’s all about being aware of the impact we as tourists have on the planet and doing our part. Travel is life-altering and eye-opening. It breaks down borders and allows us to experience cultures that are different from our own. 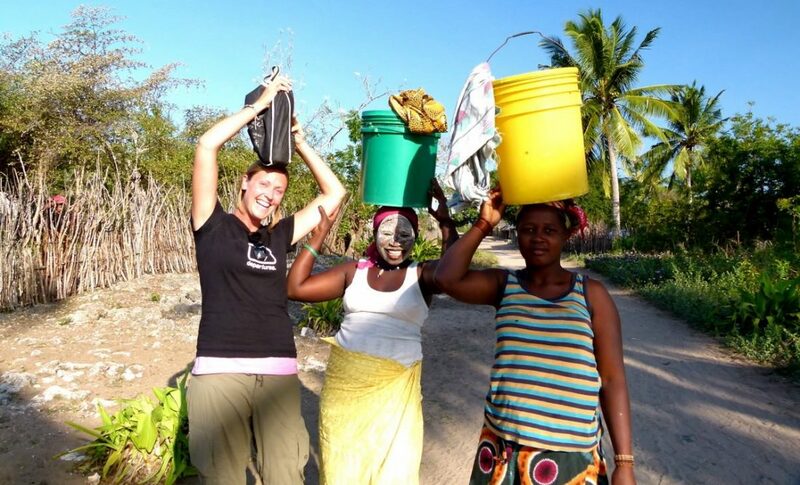 Have meaningful moments with local people, help out the communities when you can, and be aware of where your tourism dollars are being spent. Happy and responsible travels to you! Great article guys – really like it! We’ve been on the road for the best part of a year and we can’t stress enough how good a decision it was to invest in a lifestraw (filter) water bottle. We’ve been drinking tap water everywhere! We have been surprised at how few people have these and saddened at seeing essentially everyone with single use plastic water bottles. Ocean plastic is a MASSIVE issue and plastic bottles are a big contributor to this. Air travel and eating meat are the biggest contributors to your carbon footprint. Tricky to cut out the flights (depending on your route!) but easy to act on the other! 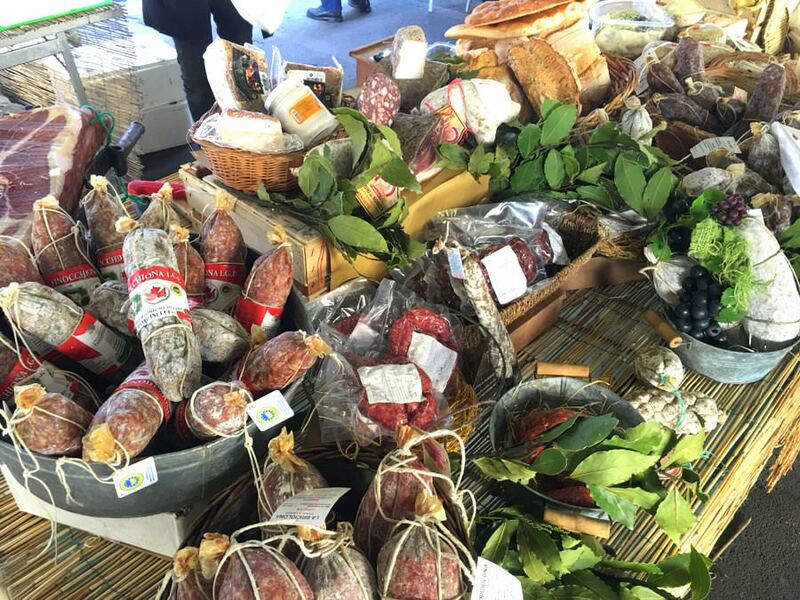 We’ve enjoyed all sorts of local food everywhere – just without the meat! Some great points there! I like the suggestion of learning a language – you get a lot of mileage out of that. As for over-tourism I quite like the way Bhutan handles it with limits and charges, it’s also one of the most interesting places to visit perhaps because of that – so few people there. Your section on bargaining is also great and recently we’ve tended not to bother unless the mark-up is a blatant rip-off, a few pennies here and there works well, as you suggest, for all concerned – happy travels! Excellent points, and as the author of a travel guide to Pakistan (a not-very-touristed country) I can’t agree with number 6 enough. Here, I/we have the opportunity to introduce a new tourism culture to the country, and it’s so important that we get it right. 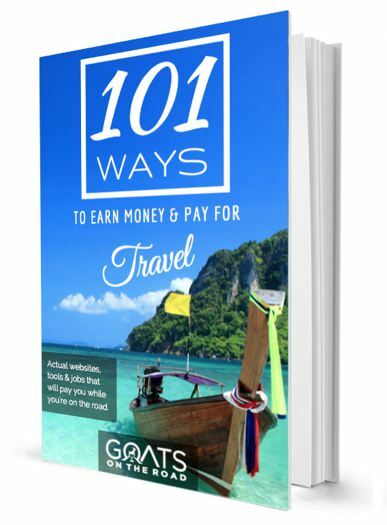 This is the best ever travel tips blog I have ever read! Looking to read your other posts as well!